I want to start off by stating my awareness of Sharon Crowley's position in "The Evolution of Current-Traditional Rhetoric" that narrowing down an essay topic is an overly simple, current-traditional approach to invention. I concede that she has a good point and that just "narrowing down" without a specific rhetorical purpose for doing so is problematic. However, it is practical and expedient to have good strategies for focusing during the research and writing process, and years of experience -- both teaching and writing -- convince me that research papers are much, MUCH BETTER when the topics are narrow. So I'm working on a handout to add to the 70+ documents on my writing program's site for instructors. To that site, I upload all the documents I can possibly think of that could help someone teaching writing: assignment handouts, descriptions of class activities, policies, procedures...someone even requested that I write a script for an email a teacher could use to warn a student that s/he is in danger of failing a course for low attendance. That's up there too. have a long history. Decades would count as a long history. affect large groups of people nationwide, or worldwide. I'd appreciate finding out about other ways you've advised students to focus their inquiry when writing research papers. 1. Post to the blog at least twice a week. 2. Do some research-related writing, and reading, EVERY day if AT ALL possible. There will definitely be some days in 2010 that I'm, you know, in the hospital or otherwise out of commission. 3. Starting as soon as I've completely recovered from the birth, get back into a regular exercise routine: about three times a week. I'm excited about this year's CCCC-IP Annual. We're looking at having at least six articles in the 2009 publication, which will be my third as editor. I plan on getting my article for it finished in the next week or two. Usually the articles cover the developments in copyright and intellectual property law over the past year; this year will be no different except for a couple of reviews of books that were published in the latter half of 2008 that I decided to make exceptions for. But for my article, I wanted to cover something that happened in 2009 if possible. I did some reading through the 2009 archives of the Electronic Frontier Foundation's blog and the Berkman Center for Internet and Society's site, and then I found the topic. In 2009, both the Recording Industry Association of America and the Electronic Frontier Foundation released curricula for teaching children about copyright and intellectual property. The RIAA's curriculum, intended for grades 3 through 8, is quite one-sided. The EFF's curriculum seems to be geared toward grades 9 through 12 and examines copyright in a more complex way. I just finished writing a review of Jessica Reyman's new book The Rhetoric of Intellectual Property: Copyright Law and the Regulation of Digital Culture, and I already see so many connections between her argument, which examines the rhetorical workings of the content industries' argument (she terms this "the property stewardship narrative") and the copyright activists' argument (which she calls "the cultural conservancy narrative"), and these curricula: how these narratives are told to young audiences. I love it when I can be invigorated by my research and writing. I'll link to the Annual once it goes live, of course. I expect that will be in early March; I want to publish it before the conference and before my rambunctious little girl is born. The following remarks constitute my personal opinion about what a teaching portfolio, a.k.a. “evidence of excellence in teaching,” should look like and contain. Not everyone may agree with me, but I have seen a lot of teaching portfolios, not only in my training of new teachers as part of my role as Director of First-Year Writing, but also as the chair of a hiring committee. 1.How long has this person been teaching? 2.How many (and which) courses has this person taught? 3.How many (and what kinds of) student populations has this person taught? You can provide an “Overview” page that answers these questions. Your curriculum vita should have a “Teaching Experience” section, and you can use that if you like. You can expand that section slightly to give a short blurb about each course. I first put a page like that in my teaching portfolio after one of my professors suggested it to me when I griped to her that the curriculum in our department was so rigid that my teaching materials didn't represent my ideas about designing writing assignments, etc. Those blurbs were a way for me to explain a bit about the departmental curriculum for each course. Your portfolio certainly DOES NOT have to have all of these. In fact, the only item on this list that is de rigueur is the teaching philosophy statement. 1.What specific skill, more than any other, do you want students to get out of your class? For writing classes, what kind of writing do you think it's most important for students to know how to do? For literature courses, what kind of reading or literary analysis do you want them to be able to do by semester's end? 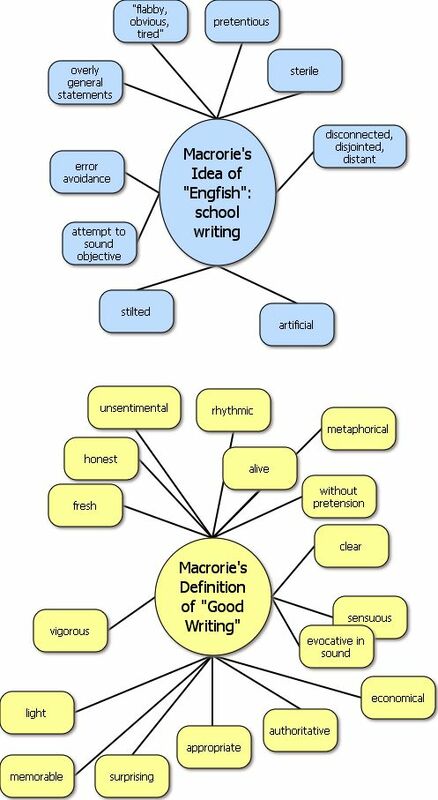 Of course we want students to enjoy writing and to appreciate literature. For a teaching philosophy statement, though, saying that is a little too easy and obvious. I'm interested in seeing something more thoughtful and specific. 2.How do you teach the skill or content you most want students to learn? This part needs to be a detailed description of an assignment you give students or a classroom activity you do with students. If it works best to use an anecdote about a particular student to illustrate your philosophy in practice, give the anecdote with the student's identifiers changed. I know I said two questions, but if your primary research area is rhetoric and composition, I expect to see an answer to one more question: with what rhetorical or pedagogical theorists do you align your teaching practice? In other words, situate your teaching in the field of rhetoric and composition studies. It would be more coherent to provide an assignment handout followed immediately by a student's response to that same assignment. Then, if you include two papers, include two papers that got different grades, to be sure the reader sees that you recognize a range of achievement, and to see how you comment on stronger and weaker papers. It doesn't have to be a pair of opposites (A paper, F paper); A paper/B paper or B paper/C paper pairings are fine. Also related to alignment and consistency: be mindful of contradictions between what you say in your teaching philosophy statement and/or assignment handouts and what you say to students in your comments on their work (or in class, if you provide a DVD of a class meeting). Let's say that in your teaching philosophy statement, you say that what you most want students to learn is the importance of writing for an audience: being aware of the audience's diversity in both their backgrounds and their opinions about the subject of the paper. If you don't say anything about audience in your assignment handouts, and if your comments on student work are along the lines of “no first person,” “no contractions,” “incorrect MLA format,” you lack that alignment and consistency. If audience is your priority, I'd expect to see some remarks about audience in your assignment handouts and comments on papers such as: “you may alienate your audience due to the use of the term ____ here” or “you need to address opposing views X, Y, and Z because not everyone in your audience agrees with your position on this issue,” and so on. A side note regarding comments on papers: again, this is just my opinion, like everything else here, but when I look at sample student work with teacher comments, what I do first is look ONLY at the comments without reading the student's writing. If I can't tell from the teacher's comments what the subject matter of the paper is, I find the comments to be insufficient. I do this in my own teaching too before I return a set of papers. If I see that I haven't made comments on, asked questions about, or otherwise engaged the subject of the paper in some way, I write more comments. Keep the portfolio brief. Don't load it up with years' worth of teaching evaluations, multiple student papers, syllabi and assignment sheets for every class you've ever taught. Be very selective when it comes to deciding what to include. The portfolio should represent the best of your teaching. That said, if you include a set of comments from your student evaluations, don't cherry-pick them. Include comments from all the students in the class who wrote them, even if some of the comments are critical. Earlier I mentioned a “Courses in Development” page, which you can put in your portfolio. I recommend having a page like this especially if you are a graduate student without teaching experience besides first-year writing. That page is an opportunity for you to show hiring committees that you have thought about and planned for teaching a variety of courses and are prepared to do so. You don't need to have complete syllabi for these classes, only course descriptions of about a paragraph each with reading lists and brief descriptions of assignments. It's also good to mention the level of each course you're planning. Is it a sophomore-level course? Graduate-level? A class for juniors and seniors? I really will be rebooting the blog soon. It will be a New Year's resolution; I've had a lot of success with those in the past. Today at church, one of Henry's Sunday School teachers told me that during their little birthday party (for Jesus), they'd given the children gingerbread cookies. Henry took his over to the nativity scene and put it in the manger. I relay this anecdote simply because it is SUCH a Henry thing to do. He is ALWAYS stashing food in little cups and boxes, even shoes. It's cute, but yeesh. I'm almost finished with my syllabus for next semester. I'm teaching English 501, a.k.a. the T.A./pedagogy course. The last time I taught it, I had a pretty good setup going; each week we'd focus on one particular approach: process/post-process, cognitive theory, critical pedagogy, collaborative learning, etc. But now I've switched books; before, I used Cross-Talk and the Guide. Now I'm using only the Norton. I love the other books, but we decided to make the Norton a central text for our comprehensive exam reading list for rhetoric and composition, and I like for my 501 course to be not only a good preparatory course for teaching writing but also a solid survey that will prepare students (who choose to major or minor in rhet-comp) for our exam. The challenge, then, has been twofold: first, I want to keep a similar organization in which we focus each week on a certain type of pedagogy, which -- while still doable -- is not quite as easy with the new book. I think the weekly theme was helpful for the students, and I got a pretty positive response to my syllabus on the Writing Program Administrators listserv. Second, of course, is the fact that I'm due to give birth on March 26, so I'll have to compress a lot of material into not as much time. I've decided to devote the last few weeks of the class to field work; students will go and observe meetings of writing classes and keep a journal about the experience. I feel strongly that observations need to be a part of this course, as most students have not taught before, and this semester it makes sense to have the observations in the last few weeks. On a somewhat related note, I have a confession to make. I have now been teaching writing and studying composition theory for just over ten years. Over the years, I have come to realize that I have no strong opinion one way or another about How Writing Should Be Taught. I honestly think that students can learn useful skills in an expressivist course, a rhetoric-heavy course, a writing-about-literature course, a current-traditional course, a cultural studies based course, etc. I can't decide if this makes me a terrible writing program administrator or an excellent one.